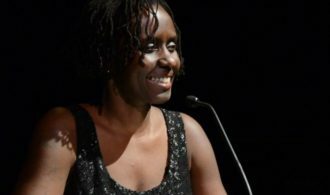 Juliane Okot Bitek is the winner of the African Poetry Book Fund’s Glenna Luschei Prize for African Poetry 2017. The African Poetry Book fund, established through the generosity of Laura and Robert F. X. Sillerman and in partnership with the literary journal Prairie Schooner, seeks to celebrate and cultivate the poetic arts of Africa. This year’s prize goes to Juliane Okot Bitek, for her poetry collection 100 Days (University of Alberta Press, 2016). Award-winning writer and scholar John Keene judged this year’s prize. You can read more about this win here.